The Super Stands come with Single and Double Sided U Bars to accommodate any Multi Unit Configuration. The QSWI3001 features 36″ connection arms and a 36″ spreader plate. The QSWI3002 features 36″ connection arms and a 17″ spreader plate. The plate provides additional stability for wider units. The plate is slotted to allow 360° rotation for setting the perfect direction of air flow. 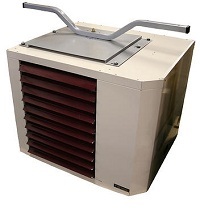 Allows for a 360° rotation for direction of air flow. Most large unit heaters 400 lbs. and under mount comfortably. Fits the following manufacturers: Beacon Morris, Reznor, Modine, Sterling, etc.